Muhammad Khorshid, who represents the Liberals on the city council of the municipality in southern Sweden, told Expressen that the comment in his name from 2016 on Facebook belonged to a fake account. The person behind that account wrote wrote in Turkish about the two ethnicity: “We call them out for their impure spirits,” the daily reported Thursday. 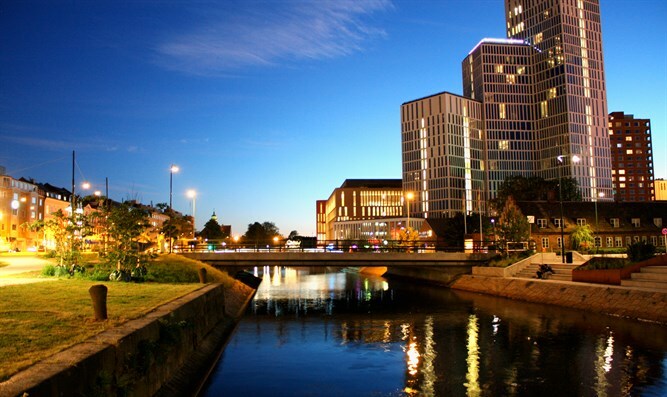 Malmo has about 350,000 residents, of whom about one-third are from Muslim-majority countries. The relatively high prevalence of anti-Semitic incidents there — dozens are reported annually, although the city only has a few hundred Jews — has exposed the city to international scrutiny. In 2010 the Simon Wiesenthal Center issued a travel advisory about security concerns in Sweden and in Malmo especially because of anti-Jewish hate crimes. The City of Malmo has directed thousands of euros to integration and anti-racism projects headed by Khorshid, whose origins are in Iraq and who is active within Malmo’s Muslim population. He has been interviewed int he media as an expert on de-radicalizing fundamentalist Muslims.